AFIRM research was recently highlighted on Yahoo news. See the article from September 10, 2012. Photo: Cathryn Sundback, Director of the Tissue Engineering Lab at Massachusetts General Hospital, holds a laboratory rat implanted with a human-scaled ear made from sheep cells. How many laboratories does it take to heal the wounded warrior? See Cell Press feature article from March 2, 2012. 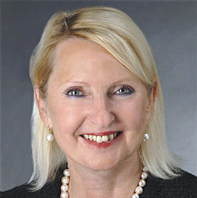 Congratulations to Dr. Siemionow on being selected by the Plastic Surgery Educational Foundation (PSEF), to receive the 2010 PSEF Outstanding Achievement in Clinical Research Award at the 2010 ASPS/PSEF Annual Meeting. Dr. Robert Langer, who has made contributions in the areas of drug delivery and tissue engineering, was given The National Academy of Engineering’s Founders Award. Click here to read more. Drs. Charles Gatt and Michael Dunn featured in UMDNJ Magazine for their work with the meniscus project. Click here to read more. Ms. Connie Culp, the first ever United States recipient of a face transplant was interviewed by Diane Sawyer, ABC News. Dr. Maria Siemionow, Rutgers-Cleveland Clinic Consortium investigator, reveals her thoughts on Connie Culp's perseverance. Click here to view the interview. “...an astonishing 93 percent of soldiers survive after being injured in explosions, thanks in part to better protective gear. But this means they’re coming home with severe injuries that include missing sections of bone; injuries to the bones of the face; and gaps in blood vessels, muscles and tendons. To improve recovery, in 2008 the U.S. military funded two consortia — one headed by Rutgers University and Cleveland Clinic (RCCC) and a second headed by Wake Forest University and the University of Pittsburgh (WFPC) — under the umbrella of the Armed Forces Institute for Regenerative Medicine (AFIRM).“ Click here to read more. Medicine, NJCBM's particularly interesting facet. See Orthopedics this week feature article from July 20th, 2010. "It's not just the cells you have, but how you prepare and grow them that impacts the in vivo therapeutic effect," said Dr. Adam J. Katz, a pioneer in this area and physician-scientist working in plastic surgery and biomedical engineering. The U.Va. Patent Foundation has licensed a series of novel ways to identify, grow and use these cells to the GID Group, putting the U.Va. discoveries on the path to commercialization. "By simply enabling the cells to assemble and grow as 3-D structures, rather than 2-D mono-layers, we have found significant changes in their genetic expression, biological activity and therapeutic potential," Katz said. On March 18, 2010 the Rutgers - Cleveland Clinic Consortium welcomed General Amos and other honorary delegates for a visit to the Cleveland Clinic Foundation. 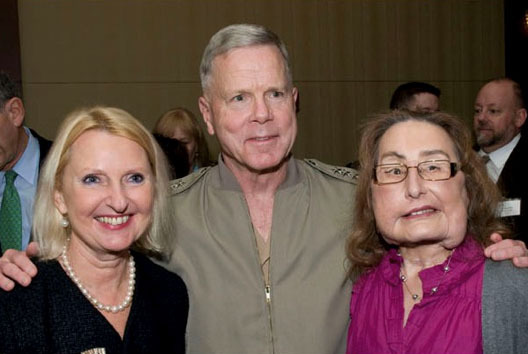 General Amos and guests heard from Ms. Connie Culp, the first ever United States recipient of a face transplant, in addition to hearing talks from RCCC investigators. and current Commandant of the Marine Corps. Linda Griffith, MIT professor of biological and mechanical engineering, will receive one of the 42 awards, which have no budget cap. Griffith will use the grant to build new tools to probe the molecular communications networks between cells and integrate these tools with computational models of network behavior. For more details click here to download PDF. In September 2009, Dr. Maria Siemionow was elected President of International Society of Hand and Composite Tissue Allografts for a two year period. She was nominated by current President Professor Dubernard who performed the first partial face transplant in France. Dr. Siemionow also holds the secretary position in the American Society of Reconstructive Transplantation. In December 2008, Dr. Siemionow completed the first face transplant. Her patient, a civilian named Connie Culp, had been injured by a shotgun blast that destroyed her entire mid-face. For more details and recording of the interview please visit here.